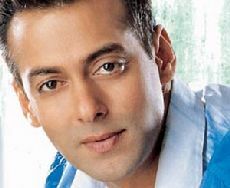 The hit TV game show of 2008, Dus Ka Dum, host by Salman Khan is back for it's second season. Sony has also signed up guest celebrity Mallika Sherawat for s 50 lakh to appear on the show, which will be shot on May 24. On the show Mallika will most likly promote her next film, Hissss (Naagin The Snake Woman) (2009) directed by Jennifer Lynch, in which she play role of a vengeful snake woman. The movie is being backed by Endeavor Independent, which liked the promos of the film at a Special preview in Los Angeles. Endeavor Independent was also behind the worldwide distribution of Oscar winning movie, Slumdog Millionaire (Crorepati) (2008) .